The wild is an IOS survival game which is heavily trending between the IOS gamers nowadays. 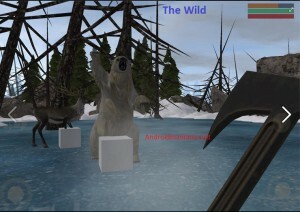 The game is developed by DUO, Due to its unique and special graphics, the game succeeded in gaining the engagement of gamers to a great extent. The wild is basically a survival game which is developed on an island, the players are targeted to defend their selves from zombies and some other wild animals and to survive as long as they can. Food, water, defence equipment, tools, shelter all will be needed by the players in order to survive and save their selves from zombies. Unless like Dayz this name is not having any option for a group defence or you can say a multiplayer mode until now, but there is no doubt that the game is being constantly updating by the Developers, so maybe sometime in future a multiplayer mode may introduce into it. One of the special thing regarding the game is that its developers are showing special activeness in THE TOUCH ARCADE FORUM and updating the Game as per player demands in the forum. In the wild, you will have to survive for as long as you can. You will have to collect different tools, food, water, etc. for your survival and you also need some weapons to fight with zombies. 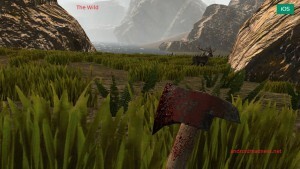 In weapons for defence, a saw is heavy been seen in many videos shot and pictures for killing the zombies and some wild animals at night to get survive, there are some other weapons too and the new one are getting added in the game on every update. Currently, the game is only downloadable in some specific country however developer is struggling hard to made it available in every region and finish the limitation of the region for playing the games. The game is free and can easily be download from iTunes for iPads iPhones and other IOS products. Hmm, I do not know where to download the wild, currently I am using an iPhone 5s, has this affected the performance and how exactly do I download it? Currently the game is on trial versions which is only available in specific regions. When it is officially released i will let you know.